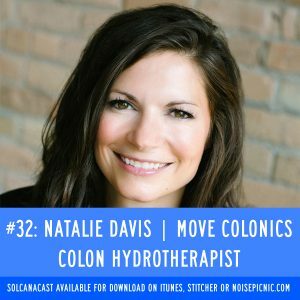 Welcome our guest today Natalie Davis, colonic hydrotherapist and owner of her own badass colonic studio, Move Colonics. Learn why making sure you’re fully pooping is so integral to your health, what the first step before a change in diet REALLY is for happy bowels, and why Natalie is not so woo-woo and way into the science of rehydrating the gut. No challenge this week! Go look at your poop already!